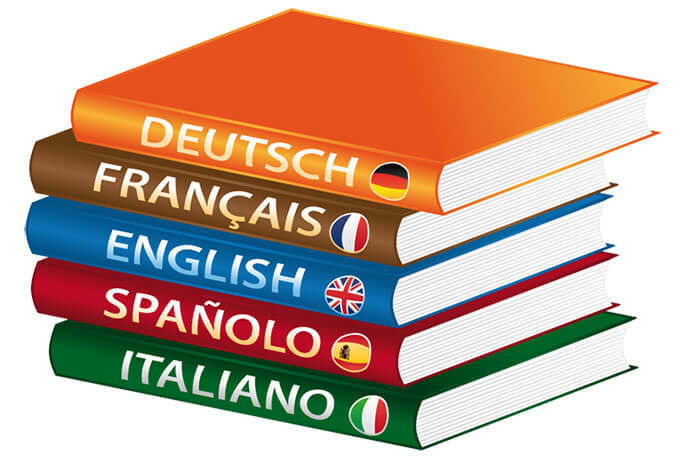 Planning to learn a foreign language this year? Then break out a new journal. Writing by hand is a highly recommended way to improve your recall and understanding of foreign vocabulary and syntax. It makes sense, given what we know about the link between handwriting and learning. The upshot is that writing information by hand engages the brain differently than keyboarding, allowing us to remember it faster and more accurately, while improving overall cognition. Likewise, research into the use of handwriting in learning a foreign language – both through journaling and through copying foreign words – has shown increased comprehension of the language. For example, a study of English learners in Vietnam found that students who practiced journaling in English over the course of the research period were able to write faster and with fewer language mistakes than students that did not. Another study in the US found that simply copying foreign words by hand increased students’ recall of the words and their meanings on written tests, although not on oral tests. Former Spotnight CEO David Bailey described in an essay on the Time magazine site how he taught himself French in 17 days partially by handwriting French grammar. In the mornings, I woke up and wrote out longhand the regular and irregular verb tables for 1.5-2 hours. I managed to get through an entire pad of paper in two weeks. I still believe that writing things out by hand is the best way to memorize things, he wrote. Meanwhile, an Iranian study of students learning English divided the participants into two groups. One group practiced journaling in English for several weeks, while the other did not. The group that journaled scored significantly higher on oral exams than the others. Journaling in the language you’re learning seems to be a particularly effective way to improve your skills. One method is free journaling, or writing daily entries about whatever you want, same as you would with a journal in your native language. The other is dialogue journaling, in which you trade messages back and forth with your teacher, with the focus being more on communication than correction. Aaron Myers, who runs the site Everyday Language Learner, points out what I think is the one of the most significant advantages of journaling your foreign language. Writing about our days in a journal or diary connects the words and grammars we are learning to the context of our lives. This context and emotional connection creates richer meaning and allows for greater retention of the material. We remember things better when we put them in a context that is familiar to our lives and that we are interested in. Being able to associate the foreign words and language concepts you’re learning with concrete, personal examples is huge. There’s a good example of this idea at work in the Guardian where Libby Page describes how she learned French in large part by exchanging letters with a French pen pal. It’s not exactly journaling, but it’s still putting the events of your life into the language you’re learning. We started as pen friends – the old-fashioned ink and paper kind. The letters we wrote introduced us to each other – and a new language. I wrote in French, she wrote in English – with drawings scattered like commas throughout. Remember, you’re going to start out small. Just a few words, a few phrases. That’s ok, just keep practicing. Eventually, you’ll be up to sentences, paragraphs, whole pages. Allow yourself to make mistakes – this is your practice field, after all – but you’ll want to run your journal by a native speaker from time to time so you can seer where you need to improve. And maybe someday, someone will ask you to proofread their journal.